7:00AM Departing HCMC for Tay Ninh Provine, an area near the Vietnamese-Cambodia border, we will visit the Black Lady Mountain, approximately 11km northeast of TayNinh. 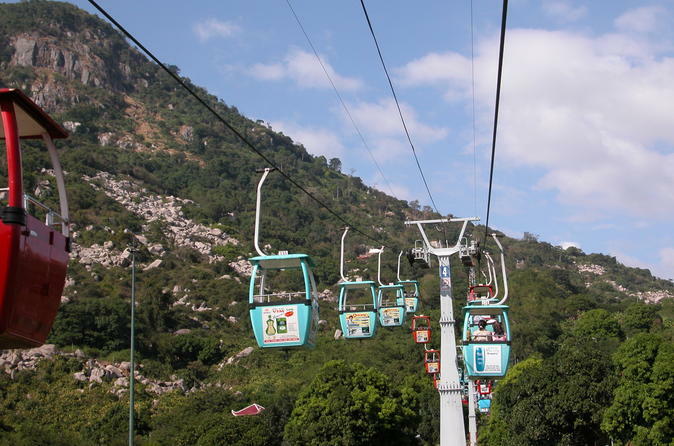 We will take a exhilarating cable car ride to the top of the mountain for panoramic view of this beautiful region. Black Lady Mountain consists three major mountains covering an area of 24km and reaching an altitude of 986 meters. Here the beautiful temples and caves that re used to house Buddhist monks and nuns remain largely undisturbed. Note: This tour is not offer in January of the Lunar Year.